According to the Oil & Gas Authority Petroleum Exploration and Development Licence (PEDL) 227 which is held jointly by UK Methane and Eden Energy is in the process of being relinquished, see https://www.facebook.com/FrackfreeSomerval. This is the last remaining PEDL in Somerset and with its relinquishment Somerset will be Frack Free! Unless that is other gas exploration companies have applied for Somerset licences in the 14th Onshore Licensing Round, the results of which have been delayed until after the election. 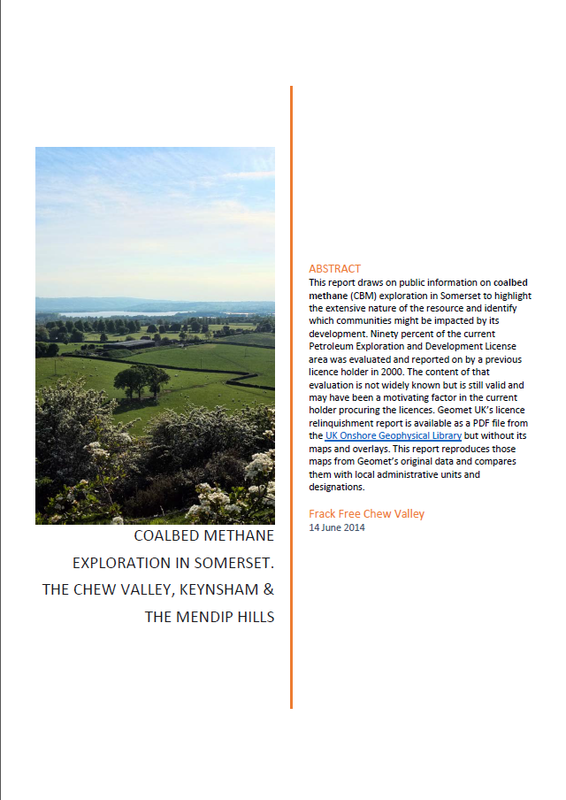 Considering that over the last 20 years the Somerset coalfield has been evaluated for unconventional gas twice (by GeoMet Inc and by UK Methane/Eden Energy) and twice the licenses have been relinquished without any drilling taking place this area should now be excluded from further petroleum exploration licensing. Australian Eden Energy and UK Methane have for some years been trying to consolidate their shared PEDLs into a merged company but without success. The terms of the deal were that Eden would be entitled to receive “£1.14 million together with a 33.33% shareholding in the merged company“. Eden reported on 30th April 2015 that “it is now highly unlikely that this merger will proceed on the terms previously announced“. Eden Energy and UK Methane relinquished their other Somerset exploration licenses last summer “due to both environmental and social reasons“. Whilst Eden Energy is still listing PEDL 227 in their Interests in Tenements it looks like “environmental and social reasons” mean that it won’t appear in their next quarterly report. This is a watershed moment in which by shedding its petroleum exploration licenses Somerset can transition from the fossil fuel age into a renewables future by leaving its fossil carbon in the ground, thereby playing its part in averting dangerous climate change. Climate change is a scientific reality not a matter of political opinion and in election week our politicians need to grasp this opportunity to make sure that Somerset’s fossil carbon stays in the ground and isn’t licensed out to the next highest bidder. This entry was posted in 14th Round, carbon emissions, Climate Change, Coalbed Methane, GeoMet Inc, Politics and tagged atmospheric co2 concentrations, carbon emissions, climate, climate change, coalbed methane, Eden Energy, GeoMet, UK Methane. Bookmark the permalink. ← Election Time – what are the candidates saying?